Jason Christopherson, Psy.D. is the Assistant Clinical Director, and Director of Training, at the Sullivan Center. He originally joined the Sullivan Center in 2012. In addition to his administrative and supervisory duties he provides psychological services for children, teenagers, and their families. He also conducts comprehensive psychological, neuropsychological, and educational evaluations for children and adolescents. Dr. Christopherson earned his Bachelor of Science degree from the University of Utah, and his Doctor of Psychology degree from the California School of Professional Psychology (CSPP), at Alliant International University, in 2013 with an emphasis in Child Psychology. He has worked in a variety of outpatient settings including community mental health organizations, public school systems, and private group practices. His professional experience includes working with individuals ranging in age from toddlerhood through young adulthood. He specializes in working with emotionally and behaviorally disturbed children, and children with complex medical difficulties. 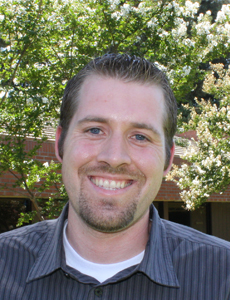 Dr. Christopherson has also worked as an instructor for CSPP at Alliant International University in Fresno, CA since 2015. He is an active member of the San Joaquin Valley Psychological Association, and member of the California Psychological Association and National Register of Health Service Psychologists. He has also made public education an important goal through radio and television interviews, and public speaking engagements within the community.